Recycling Industry Operating Standard™ (RIOS™) is an environmental, health and safety management system that is designed for all recycling facilities. 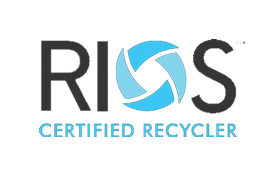 The Institute of Scrap Recycling Industries, Inc. (ISRI) created the voluntary certification program RIOS to serve as an international mark of excellence for certified facilities recycling and processing metal, paper, plastic, rubber, glass and electronics. The voluntary certification demonstrates that facilities are operating at the highest standards in the industry.